Reaching peak quality performance calls for the highest technical, artistic and physical attributes. 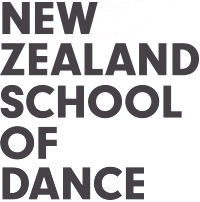 The New Zealand School of Dance believes in safe dance practice and injury risk prevention. The NZSD physiotherapy service is open to all students for assessment, diagnosis and injury management. We encourage early detection and intervention. The School’s physiotherapist, Susan Simpson works closely with sports physicians, orthopaedic specialists and other health professionals to ensure the highest quality of care is delivered to all students. All dancers undergo a screening process, orthopaedic and medical examination before entry to the School. Individual programmes are designed for students and further screening occurs throughout training at the NZSD to ensure peak performance is maintained.